Fourth of July, Independence Day might be over but that shouldn’t stop you from proclaiming your love for your country. what’s more appropriate than to accessorize your everyday gears, ranging from gadget cases to computer peripherals to automobiles, with stars and stripes? i know, you probably have a flag right in front of house but there’s certainly no harm in showing more love. isn’t it? 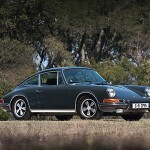 today, we round up five things that you can buy to proudly proclaim your patriotism for your country. how best to show your patriotism then to carry it around? no, i am not suggesting that you should carry a flag wherever you go but instead, putting stars & stipes on your mobile communication device is probably the next best sensible alternative. 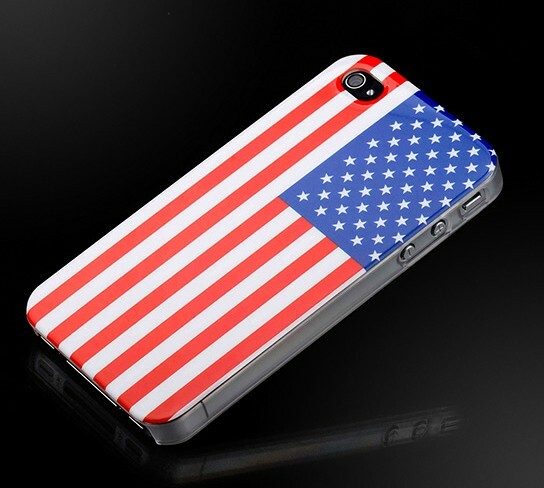 that’s exactly what the American Flag, USA “Patriot Series” hard case cover for iPhone 4 is here for. basically, it is an iPhone 4 case made of high-impact ABS plastic which offers excellent strength and protection. however, the patriotic highlight comes in a form of an American flag printed on the back of the case. the graphic is printed using the IMD imprint process that results in a vivid, sharp American flag image. ’nuff said. mobile patriotism, it is and its retail price of just $12.95 a pop further proves that patriotism doesn’t need to cost a bomb. if you don’t own an iPhone, chances are, you probably have an iPad. if that’s the case, you are covered too. 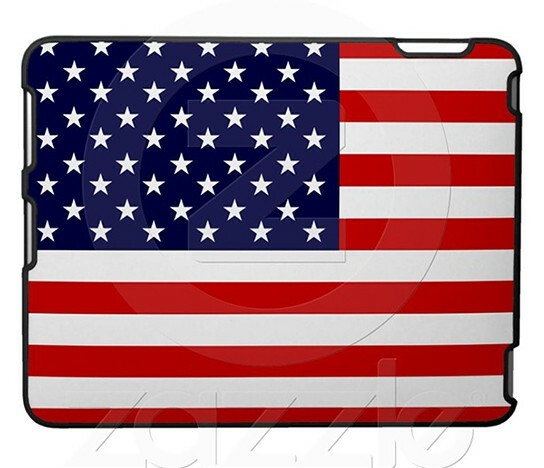 Zazzle has a host of iPad cases decked out with different American flag styles for your choosing. this particular item here, dubbed the Speck Fitted Hard Shell iPad Case – American Flag iPad Case is actually a Speck product adorned with the American flag design. the case is made of hard plastic and covered with an easy-to-grip fabric that is richly printed with the American flag. in fact, Zazzle offers the opportunity for you to custom the case’s design according to your desire. however, for the purpose of showing your patriotism, we strongly suggest this stars and stripes design which cost $51.10 a pop. of course, nobody is stopping you from taking a more avant-garde design approach, after all, it is the thought that counts. doesn’t it? let’s face it. not everyone likes or even own an iOS device. so for this group of folks, you are not being left out. everyone needs an audio speaker some point in time, so why not jumped on the patriotic bandwagon for speakers as well? of course, we are not talking about audiophile-grade stuff but more for casual listeners who demand portability and compatibility. 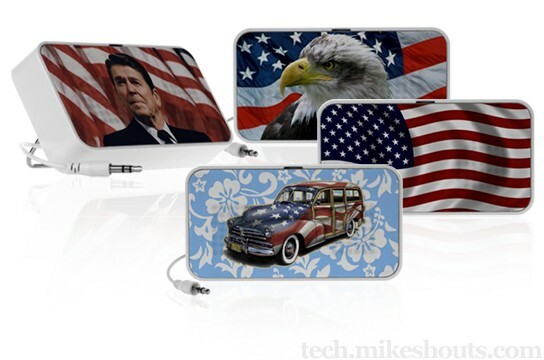 again, Zazzle dazzles us with a slew of patriot-themed USB speakers for our choosing. as with its iPad case counterpart, these Doodle by OrigAudio speakers’ design are customizable to your liking. the speakers can be powered either via the USB or two AAA batteries, and a 3.5-mm headphone plug ensure compatibility with most music devices. prices for these speakers start from $39.95 and up. 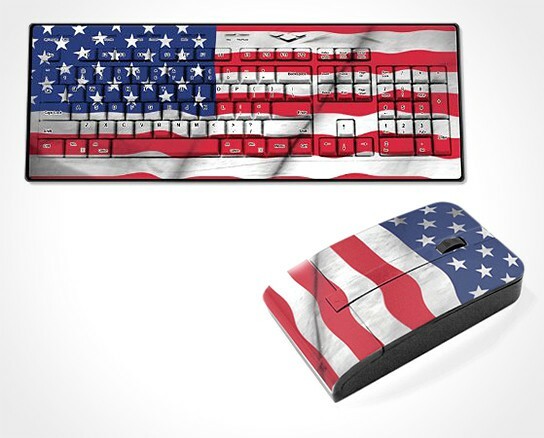 geeks also have the rights to show off their patriotism, and so should their daily essentials such as keyboards and mice. of course, we could dig further and deeper for more patriotic, geeky stuff but these duo of Old Glory peripherals are looking pretty sleek in the American flag design. the best part about these peripherals? those flags on them are no cheap stickers but are printed directly on them thus ensuring durability. specs wise, they are just your regular wireless keyboard and mouse that uses 2.4 GHz wireless transmission and are plug-and-play. pretty much standard in today’s context. the Old Glory USA Flag Wireless mouse retails for $36.99 and the Old Glory USA Flag Wireless keyboard cost $59.99 a pop. feeling extremely patriotic? good. 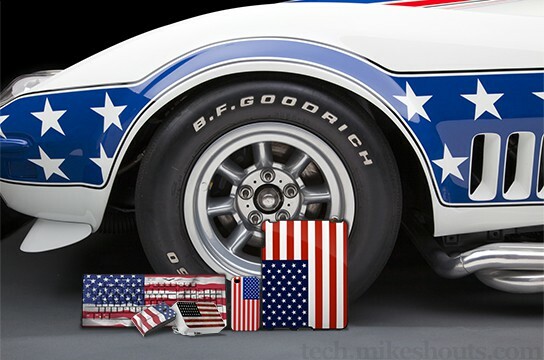 aside from the previous four accessories, you could get yourself a big ticket item like the 1969 Chevrolet BFG “Stars & Stripes” Factory L88 “ZL-1” Greenwood Racing Corvette to proclaim your red hot passion for the country. sure, you could always send your own ride to the auto paint shop and have it done in patriotic stars & stripes design, but chances are, your ride isn’t a 1969 Corvette and most certainly, is not an iconic legend. 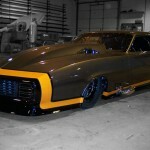 this stunning example is equipped with the Traco-built 427 CID aluminum block original ZL-1 engine, mated to a Muncie four-speed close ratio gear box and features Greenwood Racing front and rear suspension, trailing arms, anti-sway bars and Minilite wheels with period NOS BFG radial tires. completing the package is the gorgeous bodywork with Factory L-88 flares and finished in lovely “Stars & Stripes” graphics designed by Bert Greenwood, race car driver John Greenwood’s brother. 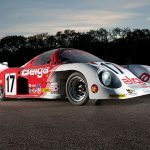 the Greenwood #49 BFG Corvette was blessed with the signature Greenwood innovations such as notched rear arms, rapid replacement radiator, quick camber adjustment, and of course, the all-aluminum 427-cubic inch (7.0-liter) engine that puts out more than 750 horsepower (559 kW) – an incredible achievement in its time. 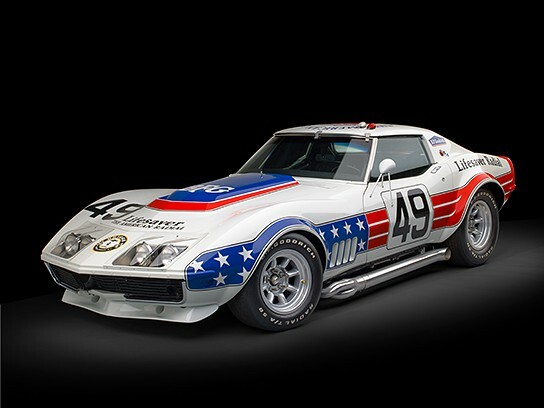 the 1969 Chevrolet BFG “Stars & Stripes” Factory L88 “ZL-1” Greenwood Racing Corvette will go under the hammer come this August 19-20 at the Monterey auction. this is probably the loudest and potentially most expensive way to exhibit your patriotism. 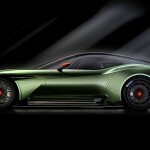 check out a huge gallery of images after the break.